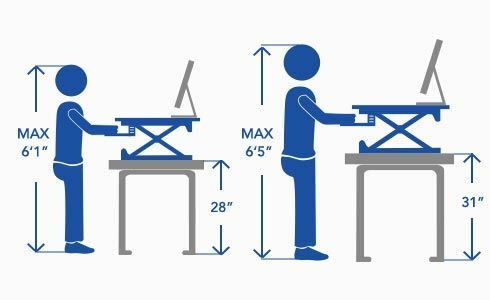 It takes little effort to transition from sitting to standing — even with the maximum 35 lbs desktop load. Just lightly squeeze the single hand bar and lift using only 13 lbs of force. Lowering requires just 3 lbs of force. 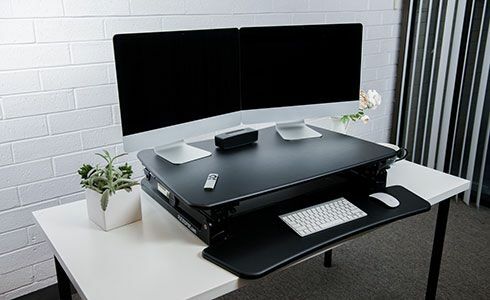 Placing ClassicRiser on a 28” high desk will accommodate users up to 6’1” tall. Placing ClassicRiser on a 31” high desk will accommodate users up to 6” tall. Offers ample space for a full-sized keyboard, mouse and mousepad while also providing adequate room for healthy wrist positioning. 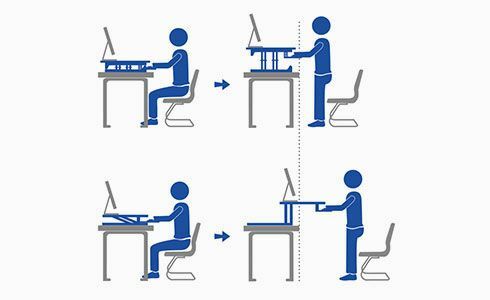 Saving valuable space in your workstation and offering better stabilization when lifting and lowering.Taking up extra space in your workstation and increasing the likelihood they might topple forward. 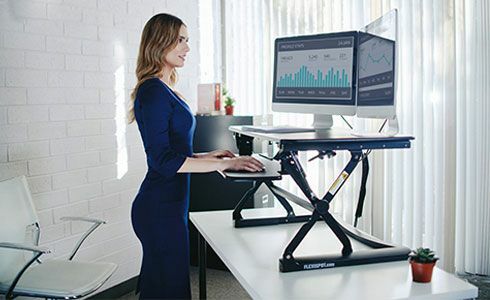 Whether standing up or sitting down, you’ll find that every detail of the ClassicRiser is designed to prevent slouching and help you maintain a comfortable and ergonomically correct posture. Bought 3 units of this for our office. My office is in Pasig and delivery was very fast. Very satisfied! I saw this one on Amazon and wanted to buy one but shipping fee to Philippines was more expensive than the price of the product. So glad we already have it here.